UK Honeymooners Donna and Jim Grimsey travelled from the top of the North Island to the bottom of the South and checked out our many mini-golf attractions on offer in NZ. They are blogging about their travels on their "Off Exploring" Travel blog. They count down the top 14 mini golf spots and in Number 1 place is Roadhogs!!!!! 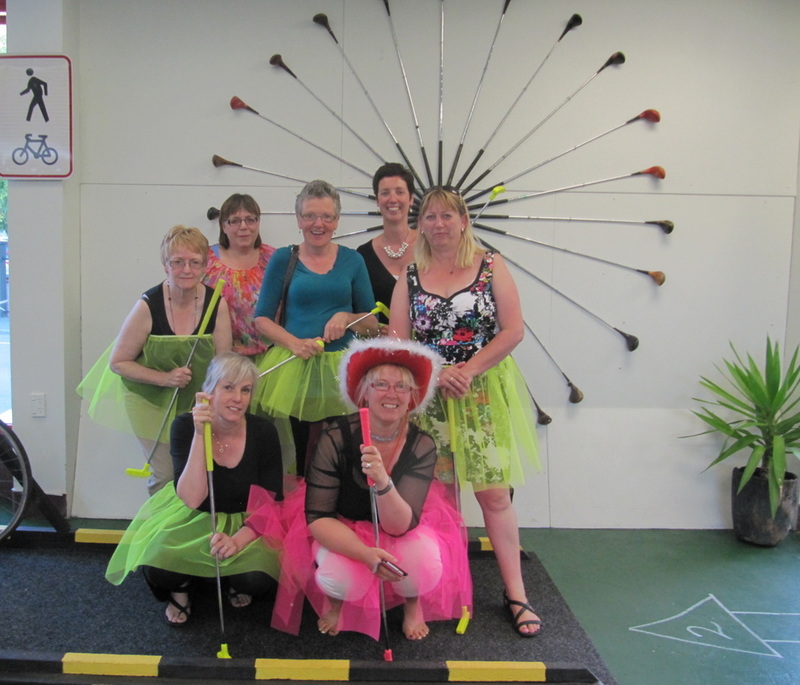 Quote from article: "In first place, the best crazy golf course in the whole of New Zealand is Nelson indoor Road Hogs. This really is a good course. Clever props, tricky but fun holes, a glow in the dark section, good quality greens, a friendly owner, an interesting backstory and to top it off, the cheapest course we have played. It was the last one we played but we definitely went out on a high." MARION VAN DIJK Former Roadhogs owner Troy Warring, left, with YikesNelson co-ordinator Tania O'Meagher after giving her the mini golf business for free. Over the last two years, Troy Warring developed a successful business from scratch. He's just given it away - for free, and with no strings attached. 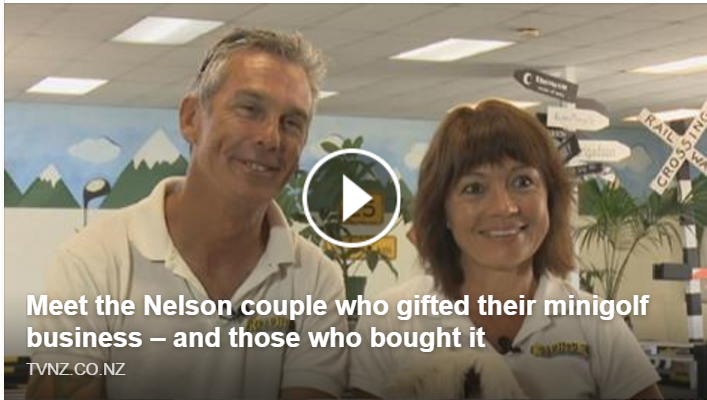 The recipient, chosen from around one hundred applicants, is Nelson woman Tania O'Meagher. She runs an after school and holiday care programme for 5-14 year olds called Youth and Kids Engaged in Enterprising Skills (Yikes). It operates out of three schools in the local community, gets children involved with activities as diverse as sports, baking, computer coding and dance. The organisation also encourages young entrepreneurs with a children's market each Friday. 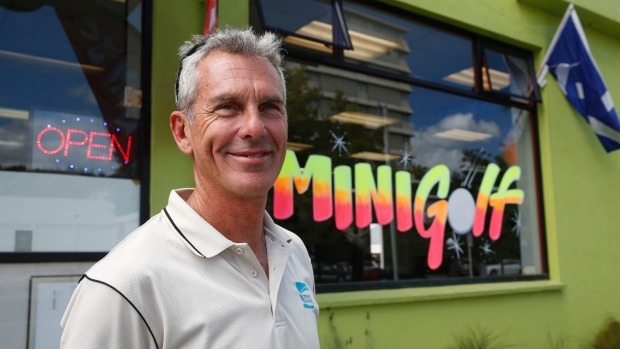 Warring spent almost a year refining the concept of Roadhogs, a themed indoor mini-golf course in Nelson. He then opened the business in December 2014. It's been operating on Selwyn St successfully ever since. But Warring found Roadhogs was impacting on his family life and keeping him away from his wife, so he decided it was time to move on. Instead of putting the business up for sale, Warring and his wife Joanne Peachey decided to do something a bit different and give it away for free. "It started off with a Facebook post thinking that someone who's been in might like to take us up on our offer, and then it snowballed from there." The responses came in from all over the country. However, Warring wasn't prepared to give Roadhogs to just anyone. He wanted to see it stay within the community. "It was always, in our minds, going to go to a local person. They had to come up with a business idea or a direction, or a damn good reason why they should be the recipient." O'Meagher could see the potential of Roadhogs, and thought that it could complement what she was already doing within the community. "I thought that it could really flow well with what we do already." For her pitch, O'Meagher emphasised a philosophy that would see "community approach and reach, beyond the business model". She identified opportunities in youth development, work-skills training, former refugee support, enterprise and charity. It was this strong community focus which convinced Warring that O'Meagher was the right person to inherit his business. When it came time to hand the keys over, Warring was surprised at how difficult he found the experience. "It was very strange, I thought I'd be a lot more unemotional about it." He is convinced that it was the right thing to do, and that O'Meagher was the right choice, saying "her support of the youth network in Nelson is incredible". O'Meagher stressed that while Roadhogs complemented her programme, it as going to maintain its own identity. She also realised that it was going to take some hard work and a few changes to make sure the business continues to grow and flourish. "We want to add new dynamics - we're opening longer hours, we've changed the pricing, and we want to add some other elements in." The labour of love that has gone into building Roadhogs will continue with new owners Brett and Tania. "We'll carry on the heart and soul of what Troy and Jo have pioneered"
Dylan Smith is our Name the Hedgehog competition winner!! 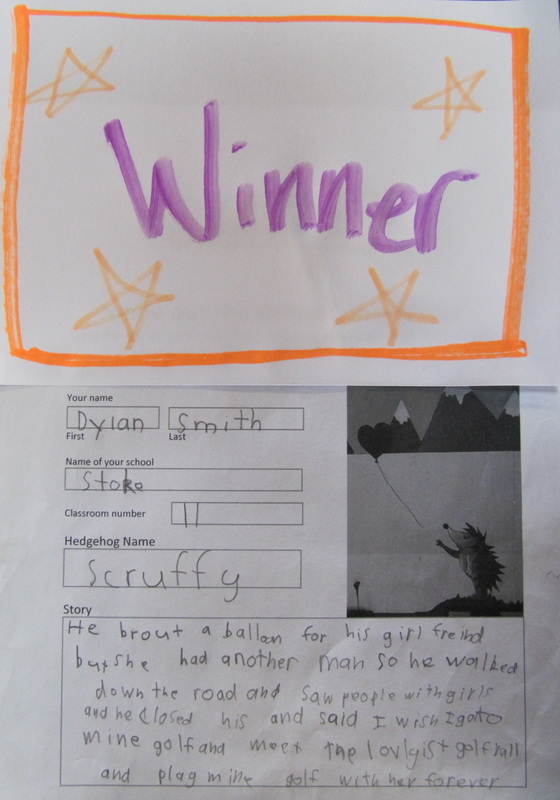 He is from Stoke Primary School and won a class visit to Roadhogs and an Annual Family Pass for his family. Roadhogs loved hosting Room 11 from Stoke School last week. And, the hedgehog's name is.............."Scruffy". We like this a lot! 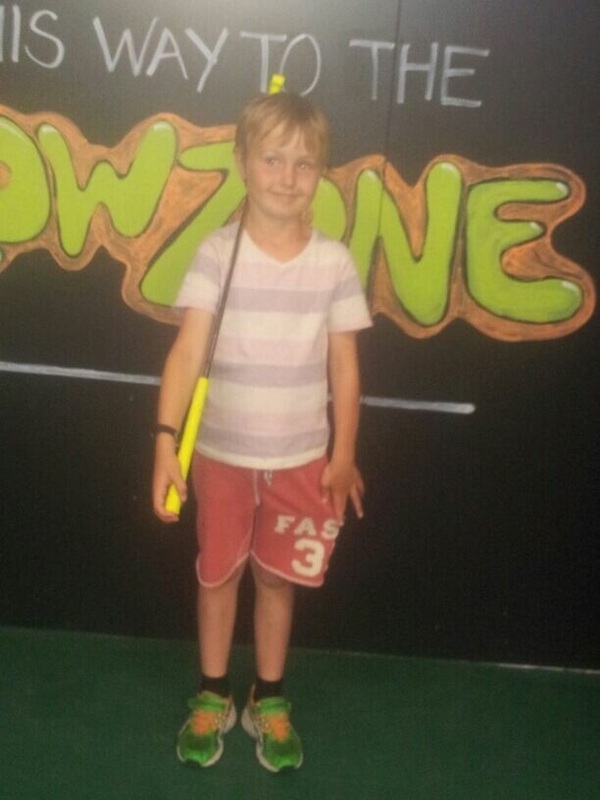 Yes, another young lad has won himself a month's free entry to RoadHogs after conquering the Pro Challenge. 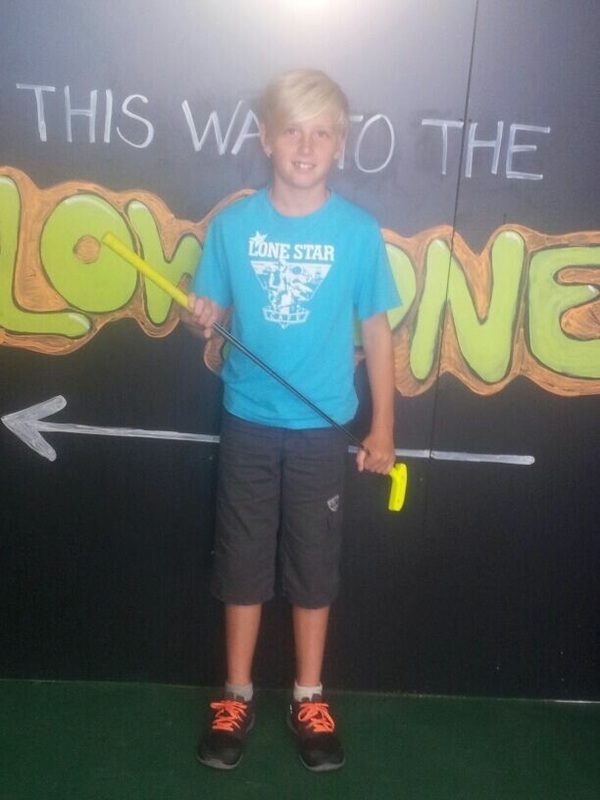 Lachlan and his family were first in this morning and wasted no time in making their mark. Well done Lachlan, you and Ned are putting the big boys to shame! Congratulations Ned Rainey, he's the first winner of our Pro Challenge at RoadHogs shooting a hole in one with his first attempt. Ned has won himself free entry to RoadHogs for a whole month. Can anyone else do that? Get down to RoadHogs and give it a go. Well done Ned!! !